While the mayor and others wax nostaligically over the passing of Frank "Lefty" Rosenthal, journalists are less likely to be wearing rose colored glasses. These are some of the people who saw first hand the arrogance of Rosenthal and his crew (including his buddy, Tony Spilotro) as well as their criminal activities. The few times Frank "Lefty" Rosenthal and I spoke, he looked at me as if I were a worm he'd like to step on, except the ensuing goo would dirty the sole of his shoe. Actually, I found the fastidious Rosenthal scarier than mobster Anthony Spilotro, and no one accused Rosenthal of killing dozens of people. Now I've been on the receiving end of plenty of cold stares, but Rosenthal really gave it his all and his cold stare did a number on me when I was a federal court reporter between 1978 and 1984. Our first face-to-face encounter was during that period when he was unofficially running the Stardust when naïve California businessman Allen Glick was the owner. The Chicago Outfit put Rosenthal in. They used the nickname "Crazy" when they spoke of him. He had various titles, from food and beverage director to entertainment director, but it was no secret he was concerned with more than how many blueberries were in a blueberry muffin and how tall the show girls were. One day I was asked to be part of a panel of a few reporters to ask Rosenthal questions on a local television news show. I don't remember the exact date, but it was about the time he was running the Stardust, the Hacienda, the Marina and the Fremont, but didn't have a gaming license. When the time came for me to ask my first question, I caught Rosenthal's eye and froze. It seemed forever before I thawed out and had the sense to look at my notes and read a question. In the game of intimidation, it was one for Frank, zero for Jane Ann. The next time we spoke, he was leaving the federal courthouse wearing that silly hat he wore to cover his hair plugs. I tried to joke with him about what I assumed was his appearance before a grand jury meeting that day, asking whether he had spilled his guts. Maybe it was the hat and the awful hair plugs, but The Glare didn't turn me into a pillar of salt. 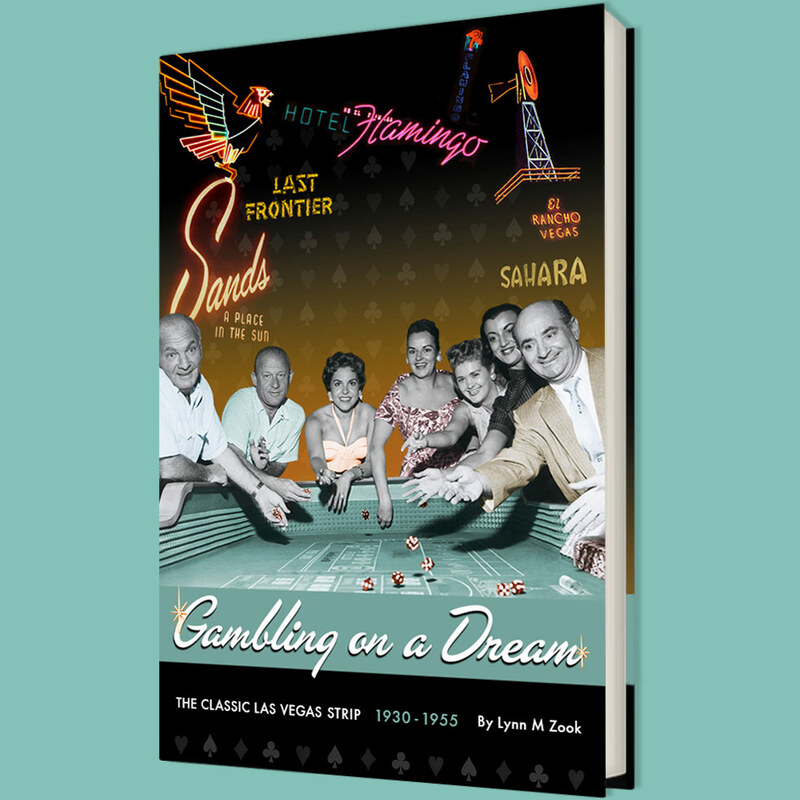 The last time I spoke with him was after he had cooperated with writer Nick Pileggi to write "Casino," the fascinating book that captured the Las Vegas of the 1970s and 1980s. Martin Scorsese's movie "Casino" was about to come out in 1995. Figuring Rosenthal was in the mood to talk about his Las Vegas days, I called him in Florida and said I'd like an interview. It was a pretty short conversation. Fortunately, I take rejection well. Rosenthal had become a part of my daily life by then because of the memento that sat atop my computer. Rosenthal's Cadillac exploded in 1982 in the parking lot between Tony Roma's and Marie Callender's on Sahara Avenue, just as he was getting in. While it was never solved, he said he didn't think the bombing was the work of the Boy Scouts. I wasn't on the scene until the next day and spied a wire attached to a small piece of metal where the car had burned the asphalt. I didn't presume it was part of the bomb, but I did presume it was part of the car and for years it sat atop my computer in the newsroom, reminding me of a time when a car bombing did one of two things: It killed you. Or it sent you a message. Rosenthal got the message and moved to Florida the next year. About a month after the 1982 car bombing, his ex-wife Geri died in Hollywood from an apparent drug overdose. She was 46. Spilotro, whose affair with Geri destroyed his friendship with Rosenthal, was murdered and dumped in an Indiana cornfield in 1986, courtesy of his mob bosses. He was 48. Of the three, only Rosenthal died a natural death. This past Monday, the sports handicapper, whose lasting legacy was creating the first sports book in Las Vegas, had a fatal heart attack at 79. My memories are fairly tame, but I know this: I'm not the only one who was on the receiving end of the Rosenthal Glare, which combined contempt with a touch of loathing and a hint of murderous rage. If you've seen it, you don't forget it. When I first heard Robert DeNiro had agreed to play a character based on Frank "Lefty" Rosenthal in the Martin Scorsese movie "Casino," I couldn't stop grinning. It was just about perfect. I imagined Rosenthal, a man possessed of a positively gigantic ego, almost allowing himself to be impressed. DeNiro, Brando, Olivier, with the ghost of Cary Grant mixed in for good measure: That would have been ideal by Rosenthal's measure of himself and his place in gambling's Pantheon. When I first learned from street sources Tuesday that Rosenthal had died of natural causes Monday in Florida at age 79, I didn't smile but only shrugged. A few months ago he'd promised me an interview, but I wouldn't agree to a small condition -- that he not be asked questions about his days as a Stardust casino executive, friend of Tony Spilotro, car-bombing survivor and Black Book member. In other words, almost all the stuff that made his crazy life worth writing about was off-limits. Details of his death were sketchy, but a variety of sources said Rosenthal died of an apparent heart attack and was found at home by his daughter, Stephanie. Independent sources confirmed Rosenthal had placed his last wager and set his final line. Here's a sample of reactions from locals who knew Rosenthal at the height of his power. "It's been said you should never speak ill of the dead," one former federal organized crime prosecutor said. "There are exceptions to the rule. Frank Rosenthal is one of those exceptions. He was an awful human being." Upon hearing the rumors of Rosenthal's demise, a longtime Spilotro friend said, "I hope it's true." To settle such disputes, I like to turn to the irrepressible gambler Lem Banker, who knew Rosenthal well and respected his handicapping knowledge -- as well as his game-fixing skill. "He was an egomaniac," Banker said. "But he was a smart sonofabitch." Right on both accounts. Rosenthal arrived in Las Vegas from Chicago via Florida in the early 1970s and handicapped out of the Rose Bowl sports book, where the action was surpassed only by the Runyonesque characters. Marty Kane and Joey Boston worked for Rosenthal and became two of the most successful sports bettors. How could they fail? They were allowed to fill out their betting slips after the games were concluded. Marty and Joey preceded Rosenthal in Black Book inclusion and death. Banker respects Rosenthal's gambling acumen, but admits the guy would cheat a blind pencil salesman if given the chance. Activities such as past-posting illegal bookmakers and skimming casino profits were in Rosenthal's blood. What's less appreciated is Rosenthal's tenacity. Call it a survival instinct or an expression of his egotism, but he fought like a cornered wildcat to keep a foothold in Las Vegas. He used attorney Oscar Goodman to sue everyone from Metro to state gaming authorities. "He was a put-his-face-in-your-face type of guy," Mayor Goodman said. "He had no quit in him, and as a result didn't make any friends in law enforcement." He won temporary reprieves, including a brief reversal of his 1988 Black Book inclusion, but in a changing Las Vegas, Rosenthal couldn't fade the heat. Even his use of a weekly TV adulation fest called "The Frank Rosenthal Show" did little to keep him in the legal action. The man who helped write the "Outlaw Line" would remain an outlaw. I think he stayed angry the rest of his life as he whiled away the years in consummate comfort in Boca Raton and Miami Beach, where he took up residence in a condominium in the Fontainebleau's Tresor Tower. (A Fontainebleau employee on Tuesday confirmed Roenthal's death.) He kept busy with his Web site, his handicapping, and a radio show. Scorsese's "Casino" gave Rosenthal more than the best of it to the dismay of those who knew the truth about the Stardust's Frank-and-Tony show. "The portrayal of him by Robert DeNiro was, as far as depicting his exterior, impeccable," Goodman said. "But as far as what made him tick, only Rosenthal knew that." After "Casino," you'd think Lefty's ego would have finally been sated. Hardly. Even 10 years after his inclusion on the "List of Excluded Persons," Rosenthal audaciously told me, "You couldn't put out a newspaper without Frank Rosenthal." What he lacked in stature in the new Las Vegas, Rosenthal more than made up for in unabashed self-confidence. He would ask, "Who 'invented' the modern sports book?" Who brought vision and innovation to the casino industry? All true. But who fixed ballgames and cheated bookmakers from coast to coast? The right-handed guy nicknamed Lefty. Who could justify a life underwritten by the Chicago Outfit and argue with a straight face that he wasn't associated with gangsters? He was in all the papers. Later today, I'll be posting about yesterday's Historic Preservation Summit and more news including our upcoming panel on the MGM Grand Fire of 1980.